NICOSIA, CYPRUS. 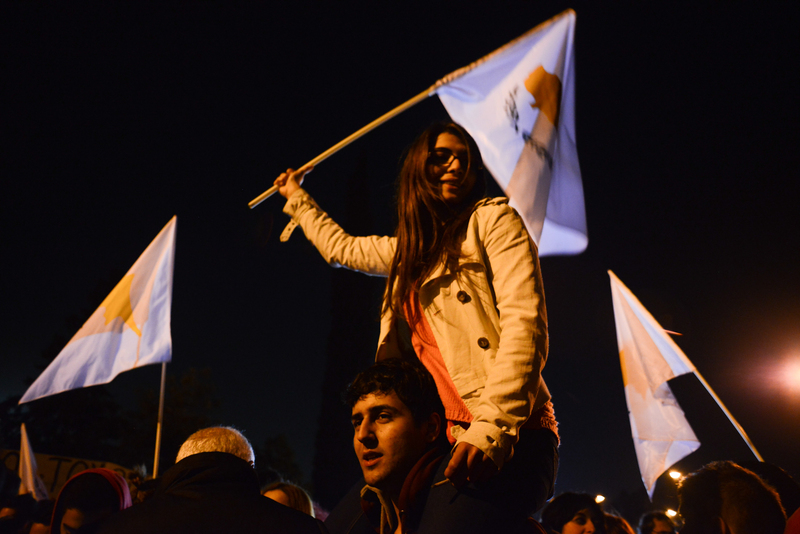 Cypriots demonstrate outside the presidential palace on March 27, 2013. As Cypriot banks prepare to reopen Thursday March 28, a series of capital controls restricting withdrawals, transactions and transfers of money have been imposed in Cyprus - the first time such controls have been imposed in the Eurozone.